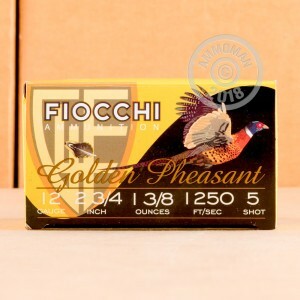 Fiocchi's 12 Gauge Golden Pheasant loads are specifically designed for hunting waterfowl. 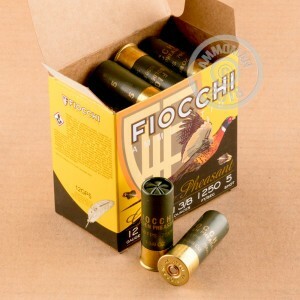 These rounds are packed with #5 Nickel Plated lead shot, making them safe for use in and around waterways. Grab a case today and bring home a bird tomorrow!